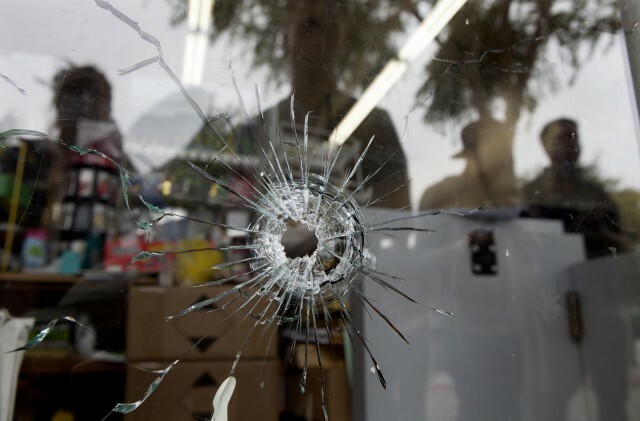 Isla Vista Aftermath: Can Legislation Prevent Mass Shootings? The UC Santa Barbara community is mourning the victims of a violent rampage Friday night that left seven dead, including the alleged killer. Three of the dead were from the Bay Area. Authorities say 22-year-old Elliot Rodger stabbed to death three men in his apartment, and then shot three people and injured 13 others before shooting himself. Rodger's parents reportedly alerted police last month about concerns they had about their son. But police did not search his room, where he was stowing weapons. Without probable cause to believe a crime was being committed, the police wouldn't have had authority to go search his apartment. Also, while Rodger legally possessed three firearms, possession of a firearm is not in and of itself evidence of a criminal act or criminal intent. Senate President pro Tem Darrell Steinberg (D-Sacramento) suggested that authorities should be required, as part of such welfare visits, to go beyond just talking and to check whether a person has purchased weapons. Additional steps could include searching the individual's surroundings and talking to roommates, neighbors and relatives, he said. "There need to be the protocols in place, training, and culture, which says when you see these kinds of warning signs you're going to take consistent steps to double-check and make sure this person isn't someone who might be prone to violence," Steinberg said. Currently, therapists can tell authorities when they fear a client is at risk of committing a violent act. However, there is no prohibition on firearms ownership unless someone has been involuntarily committed for mental health treatment. Police could also use social media to help determine someone's mental state, recommends Adam Winkler, a law professor at UCLA and a gun law expert. "Sending seven deputies to someone's home is not the best way to find out if someone is mentally ill or not," Winkler said. "Perhaps we have to start taking seriously online threats and people's social media presence as well. I don't know if that digital footprint would have been enough to give police probably cause to search that home, but maybe something could have been found." The deputies found Rodger to be shy but polite and left without walking through the apartment or talking to anyone else. Rodger later wrote in his manifesto that deputies would have found his weapons and foiled his plot if only they had done a bit more checking. Today, Assembly members Nancy Skinner (D-Berkeley) and Das Williams (D-Santa Barbara) announced legislation that would create a gun violence restraining order: Concerned family members, intimate partners or friends could notify law enforcement of someone who is demonstrating a propensity to commit violence toward themselves or others, and potentially prohibit the purchase of firearms or remove firearms already in possession. "When someone is in crisis, the people closest to them are often the first to spot the warning signs, but almost nothing can now be done to get back their guns or prevent them from buying more," said Skinner. Winkler is not sure that legislation can make a difference, though. "If we think about two of the main elements of President Obama's gun proposals, limiting high-capacity magazines and background checks on every gun purchase, those are already the law in California and they certainly didn't prevent this horrible tragedy," Winkler said. "All we can do is take a public health approach to this and try to lower the number of gun victims every single day." Don Thompson from the Associated Press contributed to this report.